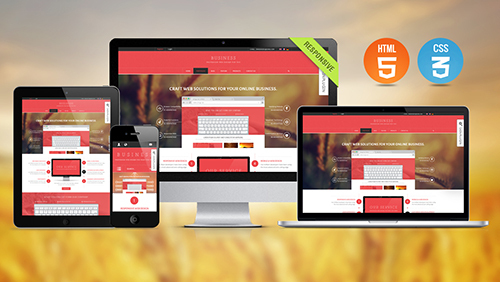 The skin comes with SkinPlugin module, which allows you to customize preferable themes according to your own needs. You will enjoy the great power that you've always desired with extensive design options and features. Based on this Skinplugin, creating a unique skin with your great imagination is not impossible any more! 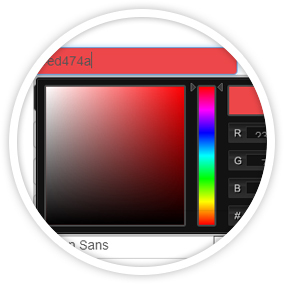 This theme includes a back-end color picker that allows you to easily change the color of any theme element(like menu, header background, footerbackground, texts etc) to create a unique theme for many purposes. 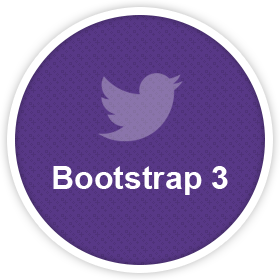 This theme is 100% ultra responsive built on cutting-edge twitter boostrap 3 frame work, which will absolutely make your site look fantastic and work well on any high pixel density devices. Also there is no need to transfrom codes and save again, all devices will update automatically. Include 7 menu designs and 5 menu options: DNN Standard Horizontal Menu, Left Vertical SubMenu, Right Vertical SubMenu, MegaMenu (which are created through our DNNGo_MegaMenu module and can work for SEO very well) and Left Side Menu. MegaMenu has great flexibility, which can allow you to easily control the number of columns for the submenus to be displayed, also it is able to display HTML module or third party modules. 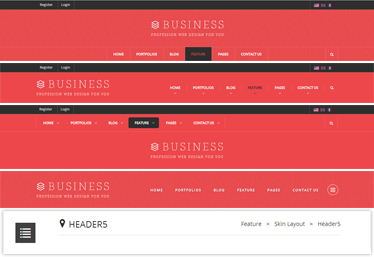 With 7 different Header Layouts in the skin, you can choose whatever you want. Also you can create a unique theme style by changing color, font, replacing image & theme elements etc through SkinPlugin. You can find the Headers from here: Header 1, Header 2, Header 3, Header 4, Header 5, Header 6 and Header 7. With 3 different Breadcrumb Layouts in the skin, you can choose whatever you want. Also you can create a unique theme style by changing color, font, replacing image & theme elements etc through SkinPlugin. 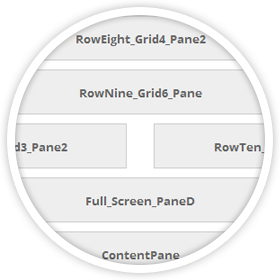 You can find the Breadcrumb Layouts from here: Breadcrumb 1, Breadcrumb 2 and Breadcrumb 3. 7 different Home Layout are included, choosing a appropriate layout according to the needs of your site. Apply the home page templates when creating pages, it will help you create page contents quickly and modify the alternative contents conveniently. You can find the Home Layouts from here: Home Version 1, Home Version 2, Home Version 3, Home Version 4, Home Version 5, Home Version 6 and Home Version 7. 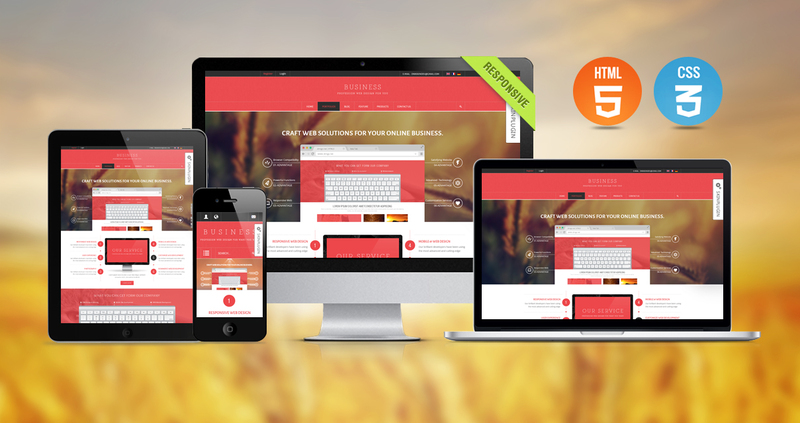 This theme includes one beautiful and modern full wide responsive Coming Soon Page, which comes with a jQuery Countdown. If your site or product is under construction, you can just very easily and quickly use these pages instead. 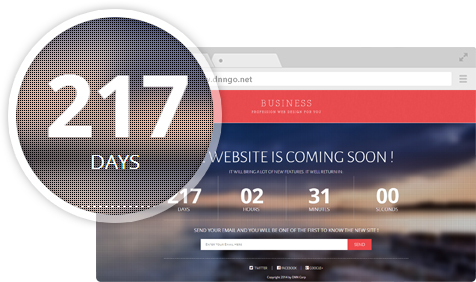 Also you can create your own Coming Soon Page quickly by changing the background image, content text and countdown time. 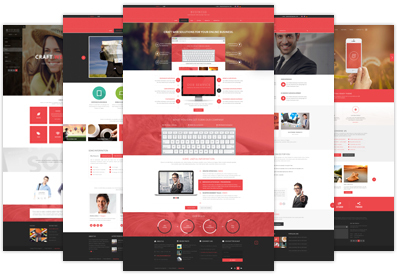 This theme includes 22 beautiful and useful Page Templates: Home Version 1, Home Version 2, Home Version 3, Home Version 4, Home Version 5, Home Version 6, Home Version 7, Coming Soon, About Us 01, About Us 02, Our Services 01, Our Services 02, Our Team, Time Line, Team Detail, FAQ, Pricing, Parallax, Clients Testimonial, 404, Contact Us 01 and Contact Us 02. 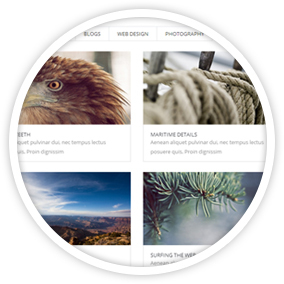 You can create a site and add contents quickly and easily. This theme includes 11 different creative and responsive Portfolios Styles, you can obtain different themes with one click. 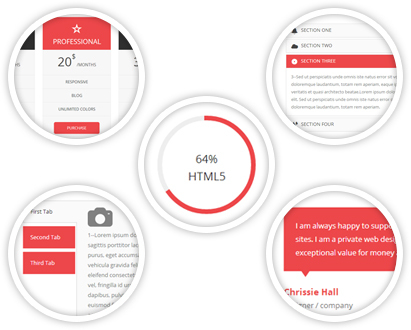 It has a large number of protfolio configuration options and Layouts, which absolutely offers you a great flexibillity. Whether you are looking for amazing settings or basic gallery, it will not disappoint you! 6 different and responsive theme Layouts: HomePage Layout, InsidePage Layout, InsidePage-Leftmenu Layout, InsidePage-Rightmenu Layout, SocialPage Layout and ParallaxPage Layout. 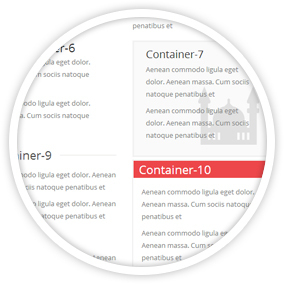 This theme includes 26 matching containers, you can choose appropriate containers according to your own needs. 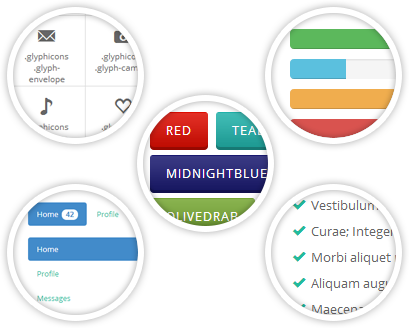 This theme includes a large number of typography element styles, such as Tables, Buttons, Images, Custom Buttons, Icons, Labels and Badges, ContentLayout, Progress Bar, Thumbnails, Media Object, List Style and Dividers, which will help you create page content layouts quickly and easily. 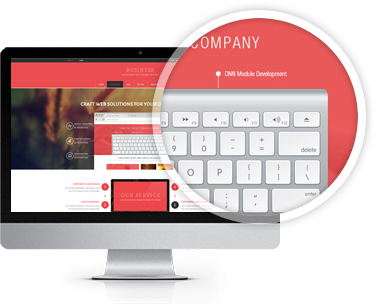 This theme offers you a lot of useful built-in shortcodes, which will allow you to quickly and easiliy create nice page styles without knowing any knowledge about code. 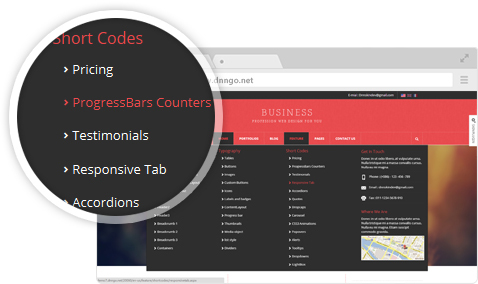 The shortcodes include: Pricing, ProgressBars Counters, Testimonials, Responsive Tabs, Accordions, Quotes, Dropcaps, CSS3 Animations, Popovers, Alerts, Tooltiops, Dropdowns, Light Box and Carousel. Feel free to consult us before you purchase any product from us. 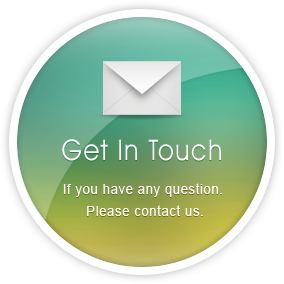 If you have any question in using our product, please e-mail us without hesitation. When you need assistance for your projects, you can contact us and order our service.Contact us through e-mail or skype at your convenience. We will deal with and reply to you as quickly as we can. Fixed the issue that Video BG could not be displayed on mobile devices. Updated all moduels to versions. Updated all moduels to be versions. Added the Dark mode. Demo link. Updated the OnePage. Demo link. Updated all the modules to latest versions. Added 2 new Home pages. Added 2 new Header options. Replaced the Megamenu with our DNNGo_Megamenu. Added 2 kinds of Home Pages. Added short codes: iLightBox, Carousel. 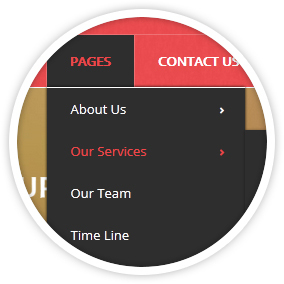 Added multiple content pages: About Us, Our Services, Time Line, Parallax, Clents Testmonial, Contact Us.